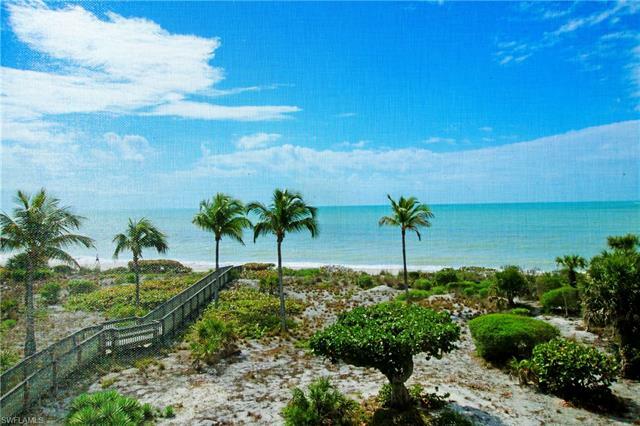 H. 14401 - angels nest- a gulf front setting incomparable to anything available on sanibel right now. This coastal oasis with a mid-century modern feel boast nearly an acre of tranquil privacy in a garden like setting with a meandering path to the waters edge. The rear chateau like elevation is complimented by a large pool and spa situated perfectly for sunset viewing. This stately neighborhood of chateau sur mer offers just 70 home sites, casual elegance and privacy. This home provides the perfect setting for entertaining from the inviting main gathering areas, its vaulted cypress tong and groove ceiling, transom windows, 3 arches in the home, sliding doors from each room with western exposure and chic furnishings to compliment for the ultimate island retreat. This home grosses nearly $19,000 monthly in-season and in excess of $100,000 annually in its current rental program. 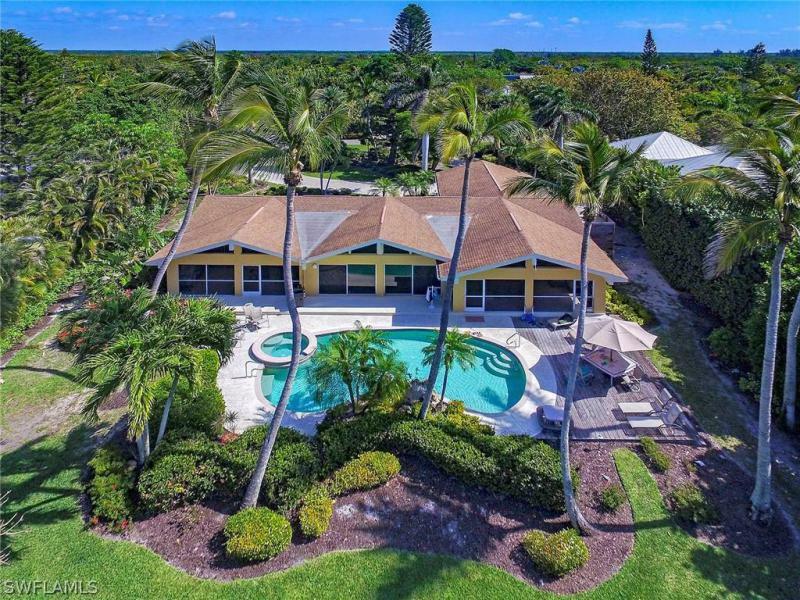 H. 13524 - this amazing custom built home located directly on san carlos bay was designed by renowned sanibel architect edgar burton epitomizing the character of island living. The incredible and panoramic bay views capture the imagination of being on a luxury caribbean cruise ship. Take the private elevator up to the 3rd floor to experience a view that is unparalleled and breathtaking from every vantage point! Enormous decks with 316 stainless steel railings exist on each bedroom and there is also a dining deck off the kitchen. Only the finest materials were used to create this beautiful and functional space with all the amenities you would expect from a home of this caliber. The chefs kitchen incorporates all the best appliances which even gordon ramsey would appreciate. Relax in the salt water heated pool and spa or slide your kayaks in for a day of fishing. This is a must see home with too many features and amenities to list. Designer furnishings are negotiable for the discerning buyer. For anyone who has ever dreamed of escaping to their own private island or yearned to own a jewel of the florida coastline for themselves and their future generations, your once-in-a-lifetime opportunity awaits. The entire island is yours. The trails, the dock, the views, the beach, the peace is yours to enjoy. A four-acre private island is the perfect backdrop for your next adventure and the private beach with the bay beyond can be your new backyard. Built in 2003, this three-story, three-bedroom, two-and-a-half bath home boasts breathtaking 360-degree views from every level. Built in a key west style enjoy amenities including wrap around porches, soaring ceilings, custom wood detailing, deep water boat dock, gas fireplace and elevated pool. From your deep water boat dock you can fish for your dinner or boat to any number of exotic nearby islands. Crescent island is an opportunity that doesn't come along often. It doesn't have to be just a dream, your tropical island in the sun can be a reality. Sanibel island's premier luxury condo development - wedgewood. Gorgeous corner unit offering over 3000 living sq' of comfort and affluence. Spectacular gulf of mexico views. Beautifully decorated and recently upgraded with impact windows and shutters. Beautiful stone flooring. Wonderful open floor plan with 3 bedrooms 3. 5 baths with an added den/media room. Huge lanai area offering both screened and glassed in for further enjoyment and relaxation. Updated kitchen and bathrooms. 2 covered parking spaces, additional storage, tennis court and pool. On-site manager. Superbly landscaped showcasing the splendid amenities and appointments this development enjoys. 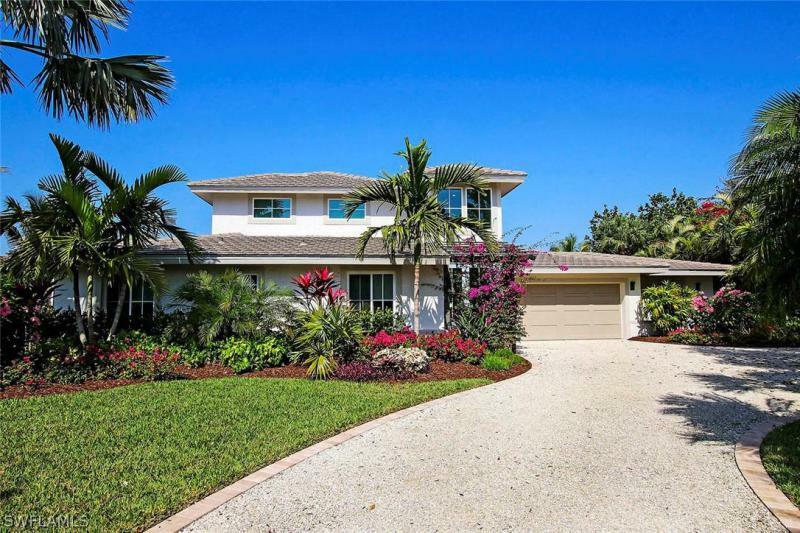 Where the palm trees sway and the gulf water glistens sits this 3bed/3. 5 bath beach house with stunning waterfront views. Your own private treehouse exudes happiness and joy with a bounty of bright windows and light coastal decor throughout. Gaze at the gulf from every room, even the master suite shower has a fabulous view of the gulf! Each of the three spacious bedrooms has a private ensuite bathroom and a walk-in closet. The open great room features jaw-dropping waterfront views from multiple sitting areas, a formal dining room space, and sizable kitchen with stainless steel appliances and granite countertops. Located on the quiet west end of sanibel island, you never hear a peep from the neighbors, or have to worry about crowded beaches. In fact, you have your very own private foot path to the beach! Never miss a sanibel sunset, whether from the beach, or your living room windows. Smaller garage (650 sqft) in back of home is great for storing your golf cart, beach chairs and/or kayak!